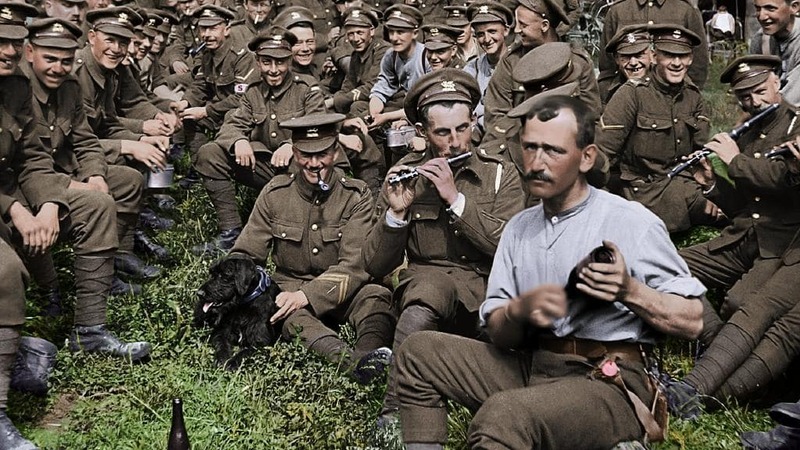 Although I largely consider the new age special effects of most films these days to be rather overrated and unworthy of a trip to the theatre, I must say that Peter Jackson's stunning World War I documentary, They Shall Not Grow Old (2018), stands out as an exception and is more than worth the time, money, and effort. Wearing those wonky 3D glasses and all, I ventured out to see the film recently and came away impressed with the stylistic application of those effects to bring what previously had been black-and-white, grainy footage of the infamous trench warfare in the First World War (or "The Great War) to life in a way I assure you that will be original and, again, well worth the outing to your local theatre. Filmed from the British perspective, the documentary succeeds in covering a vast array of topics related to the young, determined, idealistic but ultimately battle-weary troops without losing focus of its overarching purpose of just how nasty this war was in terms of the battlefield gore.